A+E Consult is an enthusiastic and closely-knit team of five engineers. 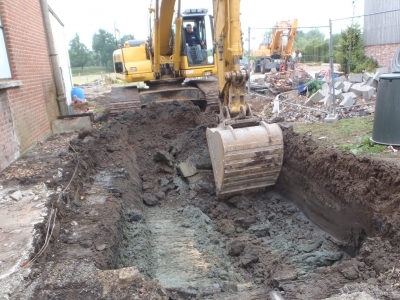 Our extensive knowledge and more than 20 years of experience mean that we can get to the bottom of soil problems fast. We closely follow the latest trends in research and remediation techniques. This means we can always offer you a suitable and cost-conscious solution. We also guarantee punctual follow-up within an agreed time frame. We are a committed partner that ensures good communication and responsibility for your projects. For example, it is essential to us that you have a fixed contact person right from the start, and that your project is implemented carefully and correctly by means of regular visits to the site and professional supervision of the contractor or contractors who carry out the work. A+E Consult is constantly growing and we are now looking for an extra passionate colleague to join our enthusiastic team. Are you a geologist, bioengineer or industrial engineer specialising in chemistry or the environment? Can you speak and write Dutch and French well? Do you know how to get things done? Do you take a structured, accurate approach to your work? Is it important to you to work in a pleasant team? 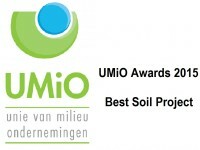 Do you have experience in the soil sector? or by e-mail to hilde.decuyper@apluse.be.